Russia's Rostec state corporation is expanding its office in Egypt due to a growing number of military and technical cooperation orders in the Arab republic, Rostec's Director for International Cooperation Victor Kladov said Friday. 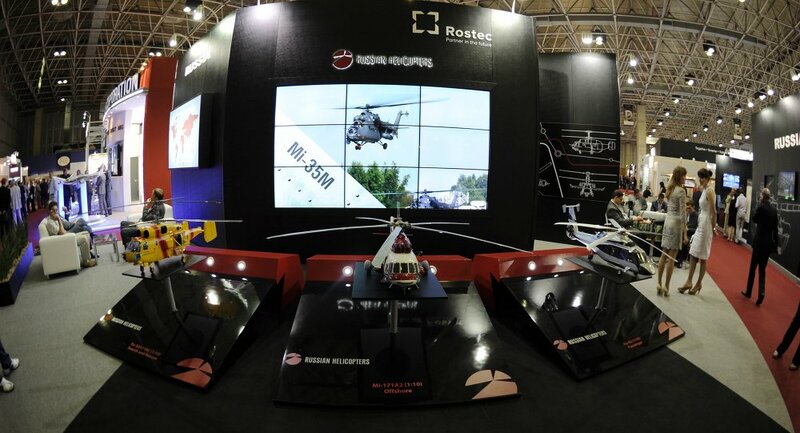 BENGALURU (India), (Sputnik) — He said, speaking at the Aero India 2017 air show, Rostec plans to send an official from the Russian Helicopters holding to Egypt this year. "We have a lot of orders with Egypt of late, we have even extended the representation there, because there are so many different topics on which we are working," Kladov told reporters. The 11th edition of the Aero India exhibition kicked off on Tuesday and will be held through Saturday. The expo organized by the India's Defense Ministry and taking place at Air Force Base Yelahanka is attended by over 750 companies from India and around the world. Earlier this week, Russia and India agreed a draft contract for the joint development of the fifth-generation fighter aircraft (FGFA), which is based on the Russian Sukhoi T-50 (PAK FA) fifth-generation stealth fighter jet. It is a single-seat, twin-engine multirole jet fighter designed for air superiority and attack roles.